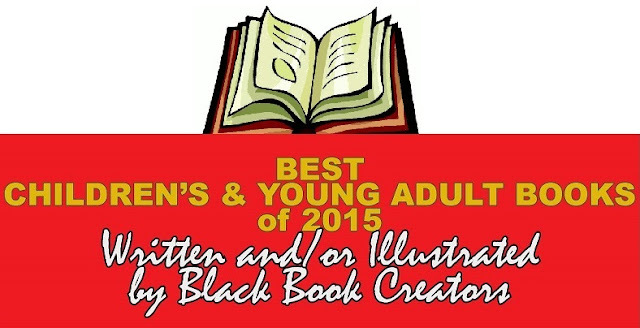 The purpose of this list is to spotlight books for children and young adults published in 2015 that were written and/or illustrated by Black book creators. The lack of diversity among children’s and young adult books continues to be a major problem facing the book publishing industry. The number of books written and/or illustrated by Black book creators is still a very small percentage of the total number of books published annually. But adequate marketing and selling, and the accessibility of the exciting books that are being published, are problematic, too. 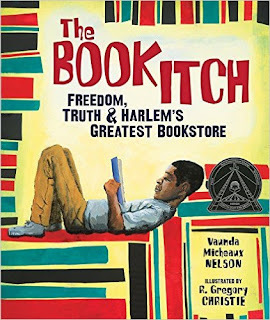 During 2015, outstanding, award-winning Black authors and illustrators produced a wonderful body of work, continuing the legacy of literary pioneers like Walter Dean Myers, Eloise Greenfield, James Haskins, Virginia Hamilton, Patricia and Fred McKissack, Jerry Pinkney and John Steptoe, among others. 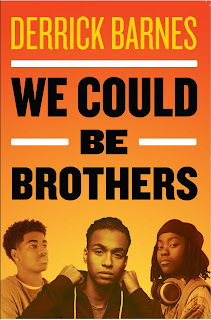 A significant number of the titles published in 2015 were recognized by the American Library Association’s prestigious Youth Media Awards and Honors, including the Caldecott, Newbery, Coretta Scott King and Robert F. Sibert and the NAACP Image Awards. They are listed here as well as many other outstanding books published during 2015. So, if you are looking for books that spotlight Black experiences, culture and history, and books that explore our diversity, and just good, well-written stories by Black authors and illustrated by Black artists, this is the list for you. Help spread the word about these wonderful books. Last Stop on Market Street, written by Matt de la Peña, illustrated by Christian Robinson, published by G. P. Putnam's Sons, an imprint of Penguin Group (USA) LLC. Trombone Shorty, written by Troy Andrews, illustrated by Brian Collier, published by Abrams Books for Young Readers, an imprint of ABRAMS. Voice of Freedom: Fannie Lou Hamer, Spirit of the Civil Rights Movement, illustrated by Ekua Holmes, written by Carole Boston Weatherford, published by Candlewick Press. Gone Crazy in Alabama, written by Rita Williams-Garcia, published by Amistad, an imprint of HarperCollins Publishers. All American Boys, written by Jason Reynolds and Brendan Kiely, published by Atheneum Books for Young Readers, an imprint of Simon & Schuster Children's Publishing Division. The Boy in the Black Suit, written by Jason Reynolds, published by Atheneum Books for Young Readers, an imprint of Simon & Schuster Children's Publishing Division. X: A Novel, written by Ilyasah Shabazz with Kekla Magoon, published by Candlewick Press. Trombone Shorty, illustrated by Bryan Collier, written by Troy Andrews and Bill Taylor, published by Abrams Books for Young Readers, an imprint of Abrams. The Book Itch: Freedom, Truth & Harlem's Greatest Bookstore, illustrated by R. Gregory Christie, written by Vaunda Micheaux Nelson, published by Carolrhoda Books, a division of Lerner Publishing Group, Inc.
Last Stop on Market Street, illustrated by Christian Robinson, written by Matt de la Peña, published by G. P. Putnam's Sons, an imprint of Penguin Group USA. Hoodoo, written by Ronald L. Smith, published by Clarion Books, an imprint of Houghton Mifflin Harcourt. Jerry Pinkney's illustrations detail a world that resonates with readers long after the pages of a book have been turned. His five decades of work offer compelling artistic insights into the legacy of African American storytelling and experience. Beyond Pinkney's technical brilliance, his support of differentiated learning through art and of young illustrators sets him apart as both artist and educator. His powerful illustrations have redefined the scope of the sophisticated picture book and its use with multiple levels of learners. Jacqueline Woodson will deliver the 2017 May Hill Arbuthnot Honor Lecture. Woodson is the 2014 National Book Award winner for her New York Times bestselling memoir, "Brown Girl Dreaming." The author of more than two dozen books for young readers, she is a four-time Newbery Honor winner, a recipient of the NAACP Image Award, a two-time Coretta Scott King Award winner and was recently named the Young People's Poet Laureate by the Poetry Foundation. Emmanuel's Dream: The True Story of Emmanuel Ofosu Yeboah, written by Laurie Ann Thompson, illustrated by Sean Qualls, published by Schwartz & Wade Books, an imprint of Random House Children's Books, a division of Random House. Jerry Pinkney, whose award-winning works include The Lion and the Mouse, recipient of the Caldecott Award in 2010. 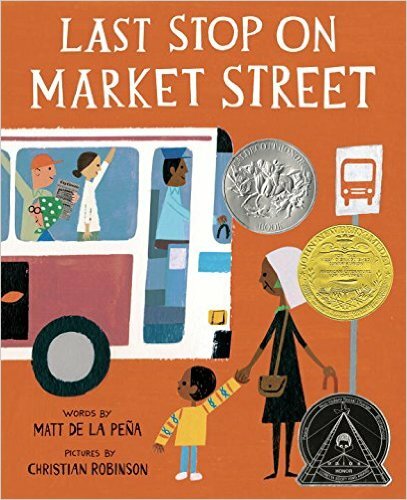 In addition, Pinkney has received five Caldecott Honor Awards, five Coretta Scott King Illustrator Awards, and four Coretta Scott King Illustrator Honors. Turning 15 on the Road to Freedom: My Story of the 1965 Selma Voting Rights March, written by Lynda Blackmon Lowery as told to Elspeth Leacock and Susan Buckley, illustrated by PJ Loughran, published by Dial Books, an imprint of Penguin Group (USA). Voice of Freedom: Fannie Lou Hamer, Spirit of the Civil Rights Movement, written by Carole Boston Weatherford, illustrated by Ekua Holmes, published by Candlewick Press. NAACP Image Awards - presented by the National Association for the Advancement of Colored People to honor outstanding people of color in film, television, music and literature. Owen loves playing ball. But it doesn't always "love" him back. And after a particularly disastrous day on the field, Owen is benched. He is feeling so low that he doesn't even notice the ball rolling through a hole in the fence until it's gotten away. In his effort to get it back, he discovers that he has more skills than he realizes. Mixed Me, written by Taye Diggs, illustrated.by Shane Evans, published by Feiwel & Friends, PB, ages 4-8Mike has awesome hair. He has LOTS of energy! His parents love him. And Mike is a PERFECT blend of the two of them. Still, Mike has to answer LOTS of questions about being mixed. And he does, with LOTS of energy and joy in this charming story about a day in the life of a mixed-race child. The backyard campout is tonight. Jada and Jamal Perkins have never slept in a tent before. Neither have their best friends, Carlita Garcia and Josh Cornell. Camping is going to be so much fun. Or is it? It’s really dark in the backyard. And what’s that noise? It’s coming from the bushes. This poetic, nonfiction story about a little-known piece of African American history captures a human’s capacity to find hope and joy in difficult circumstances and demonstrates how New Orleans' Congo Square was truly freedom’s heart. In this installment of the critically acclaimed Big Words series, Doreen Rappaport captures Frederick's journey from boy to man, from slavery to freedom, by weaving Frederick's powerful words with her own. London Ladd's strong and evocative illustrations combine with the text to create a moving portrait of an extraordinary life. With an exquisite palette and stunning compositions, award-winning illustrator R. Gregory Christie reimagines one of Aesop's most popular fables. City Mouse leaves his noisy apartment for a vacation in the country only to find drab meals, unseen predators, unbearable heat and too much quiet! So City Mouse takes his country cousin to Mousetropolis, where a rodent can indulge in rich food and rub elbows with the elite. Long before Oscar Peterson became a virtuoso jazz pianist, he was a boy who loved to play the trumpet. When a bout of childhood tuberculosis weakened his lungs, Oscar could no longer play his beloved instrument. He took up piano and the rest is history: Oscar went on to become an international jazz piano sensation. Oscar Lives Next Door is a fictional story inspired by these facts. CJ gets his very first basketball from Dad on Sunday, but can’t go to a real basketball court until the following Saturday. He decides to practice inside the house every day until he can get to the court. Can CJ stay out of trouble at home for a whole week until the big day? A celebration of mermaids, wildernesses of waves, and the creatures of the deep through poems by Langston Hughes and cut-paper collage illustrations by multiple Coretta Scott King Award–winner Ashley Bryan. Author Jonah Winter and Coretta Scott King Illustrator Award winner Shane W. Evans vividly recall America’s battle for civil rights in this lyrical, poignant account of one woman’s fierce determination to make it up the hill and make her voice heard. Frederick Douglass's journey from slavery to international renown as writer and lecturer is broadly sketched here by Doreen Rappaport, whose nonfiction and historical fiction books have been acclaimed for their meticulous research and varied literary styles. Born in Ghana, West Africa, with one deformed leg, Emmanuel was dismissed by most people—but not by his mother, who taught him to reach for his dreams. As a boy, he hopped to school more than two miles each way and earned to play soccer. Later, he became a cyclist and rode an astonishing four hundred miles across Ghana in 2001, spreading his powerful message: disability is not inability. In the nineteenth century, George Moses Horton, an enslaved man in North Carolina, taught himself to read and earned money to purchase his time though not his freedom. Horton became the first African American to be published in the South, protesting slavery in the form of verse. Tap dancing on sidewalks, especially in the city's French Quarter, is a New Orleans tradition as familiar to some as Jazz, Creole and Cajun food and Mardi Gras. 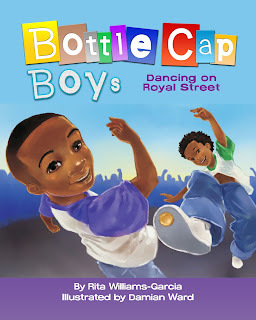 In Bottle Cap Boys Dancing on Royal Street, award-winning author Rita Williams-Garcia introduces two bottle cap dancers, brothers Randy and Rudy. 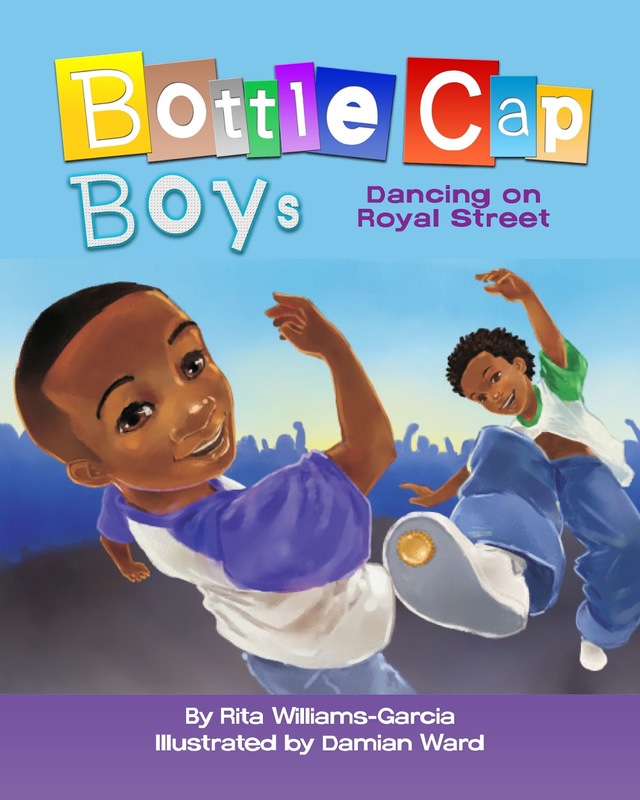 Through rich and upbeat rhyme, Williams-Garcia gives voice to the dancing and the youngsters who keep this unique New Orleans tradition alive. Hailing from the Tremé neighborhood in New Orleans, Troy “Trombone Shorty” Andrews got his nickname by wielding a trombone twice as long as he was high. A prodigy, he was leading his own band by age six, and today this Grammy-nominated artist headlines the legendary New Orleans Jazz Fest. Along with esteemed illustrator Bryan Collier, Andrews has created a lively picture book autobiography about how he followed his dream of becoming a musician. Sunday nights are special for Evie and Grandma. That's when they go on their weekly shopping spree. Overflowing with whimsy and a sweet grandmother-granddaughter relationship, this picture book is a joyous celebration of imagination, family love, and making a lot out of what you've got. In the 1930s, Lewis Michaux Sr., had an itch he needed to scratch a book itch. How to scratch it? He started a bookstore in Harlem and named it the National Memorial African Bookstore. This is the story of how Lewis Michaux Sr. and his bookstore fostered new ideas and helped people stand up for what they believed in. This picture book biography of Gordon Parks highlights the growth of his career as a photographer. Despite receiving little encouragement at school. This effective overview is a solid addition for those looking to beef up their biography collections. Fans of Weatherford's Leontyne Price: Voice of a Century (Knopf, 2014), Becoming Billie Holiday (Wordsong, 2009), and I, Matthew Henson: Polar Explorer (Walker, 2007) will appreciate this attractive offering. Music makes us happy and there are plenty of familiar tunes in this book that will make children want to sing along. Join the fun while you hum, clap or simply carry a tune in Songs I Love to Sing. My pen rides dinosaurs and hides an elephant in a teacup. What can your pen do? Acclaimed author and illustrator Christopher Myers uses rich black-and-white illustrations to bring a sketchbook to life, showing that with a simple pen, a kid can do anything! After Saya's mother is sent to an immigration detention center, Saya finds comfort in listening to her mother's warm greeting on their answering machine. To ease the distance between them while she’s in jail, Mama begins sending Saya bedtime stories inspired by Haitian folklore on cassette tape. With stirring illustrations, this tender tale shows the human side of immigration and imprisonment—and shows how every child has the power to make a difference. Feelings I Love to Share explores the many feelings youngsters experience: among them happiness, sadness, disappointment, boredom and sheer joy - all feelings that help them learn and grow. 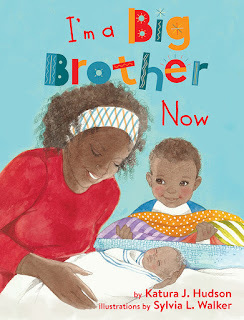 This delightful title will resonate with children everywhere. This lyrical retelling of the traditional Christmas story serves as a plea for greater compassion and unity in our contemporary world. Peace and goodwill are values celebrated during the holidays, but they should also be applied to the daily struggle of those traveling over land and sea in search of hope and sanctuary. When Anna Hibiscus goes to market one day and a boy steals a banana from her, she runs after him. It turns out that the boy is poor and lives alone. Anna befriends the boy and when he becomes ill, Anna makes sure he gets the medical help he needs. Based on the true story of one family’s struggle for voting rights in the civil rights–era south, this moving tale shines an emotional spotlight on a dark facet of U.S. history. In this second installment of Jaden Toussaint, the Greatest, there is an alien invasion at school. (They may look like caterpillars, but you can never be too safe.) Our hero, Jaden Toussaint, must use all his super-powered brain power to save the people and (possible) aliens from each other! Mention the civil rights era in Alabama, and most people recall images of terrible violence. But something different was happening in Huntsville. For the citizens of that city, creativity, courage, and cooperation were the keys to working together to integrate their city and schools in peace. In an engaging celebration of this lesser-known chapter in American and African-American history, author Hester Bass and illustrator E. B. Lewis show children how racial discrimination, bullying, and unfairness can be faced successfully with perseverance and ingenuity. In this second volume, Representative Lewis continues describing his experiences with the civil rights movement. 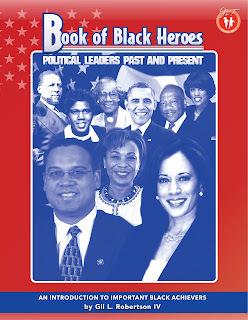 As in the first book, Lewis attends Barack Obama's inauguration, flashing back to his life as a young man taking part in the fight that would make it possible for America to eventually elect its first black president. Visually stunning, the black-and-white illustrations convey the emotions of this turbulent time, from Lewis's fear and pain while in prison to Governor George Wallace's sneering indifference during his "Segregation forever" speech. This is a unique insider’s view of the insider's view of the civil rights movement. Christmas and Kwanzaa are right around the corner and Willimena is usually excited about her favorite time of the year. But this year, no one feels much like celebrating. Aunt Laura lost her job and Dad and Mom say that big changes are coming for the family -- changes that mean Willie may not get that bike she wanted. Christmas and Kwanzaa are supposed to be joyful, but this year is turning out to be the worst. Can Willie find a way to bring "happy" back to the holidays? From Berry Gordy and his remarkable vision to the Civil Rights movement, from the behind-the-scenes musicians, choreographers, and song writers to the most famous recording artists of the century, Andrea Davis Pinkney takes readers on a Rhythm Ride through the story of Motown. Ira Aldridge dreamed of being on stage one day performing the great works of William Shakespeare. He spent every chance he got at the local theaters, memorizing each actor s lines for all of Shakespeare s plays. Ira just knew he could be a great Shakespearean actor if only given the chance. But in the early 1800s, only white actors were allowed to perform Shakespeare. But through perseverance and determination, Ira became one of the most celebrated Shakespearean actors throughout Europe. Illustrated by award-winning artist Floyd Cooper, Ira s Shakespeare Dream is a captivating tribute to the inspiring life of Ira Aldridge, and to the renowned works of William Shakespeare. This beautifully crafted and powerful collection of poems deals with a brief period (1825–57) in New York City's storied past. 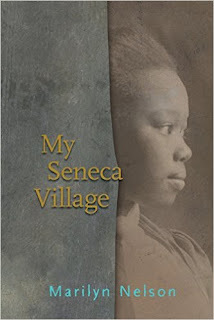 Seneca Village, on Manhattan's Upper West Side, was a thriving multiethnic community of African Americans, Irish and German immigrants, and, possibly, some Native Americans, until it was decimated by the creation of Central Park. This collection touches on historical truths (footnoted throughout) but introduces a fleeting time and place through the everyday hopes and dreams of its residents. A coming-of-age tale rich with folk magic. Set in the wake of the Gulf oil spill, this coming-of-age tale, rich with folk magic, celebrates hope, friendship, and family, and captures the wonder of life in the Deep South. Sweet and accessible but never simplistic, this collection captures the experience of a military childhood with graceful sophistication. Grimes uses different styles of poem for each voice (free verse for the daughter and tanka poems for the mother), a choice that she discusses in an explanatory note on poetry forms that will serve budding poets and teachers alike. Rendered in acrylic, oil, and collage, Zunon's warm, vibrant illustrations complement the text perfectly. Readers with an especially keen interest in the locations highlighted can look to a complete list of Air Force Bases appended. Summer vacation has just begun and Dayshaun wants to spend Saturday morning playing his new video game. But Dayshaun's mother has other plans: she volunteers at a nearby community garden and that means Dayshaun has to volunteer, too. 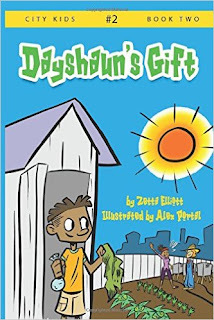 When Dayshaun puts on his grandfather's grubby old gardening hat, something unexpected happens—the hands of time turn backward and Dayshaun finds himself in the free Black community of Weeksville during the summer of 1863! Dayshaun’s Gift is Book #2 in the City Kids series. Despite fierce prejudice and abuse, even being beaten to within an inch of her life, Fannie Lou Hamer was a champion of civil rights from the 1950s until her death in 1977. Featuring vibrant mixed-media art full of intricate detail, Voice of Freedom celebrates Fannie Lou Hamer’s life and legacy with a message of hope, determination, and strength. What if Harriet Tubman and Susan B. Anthony sat down over tea to reminisce about their extraordinary lives? What would they recall of their triumphs and struggles as they fought to achieve civil rights for African Americans and equal rights for women? And what other historical figures played parts in their stories? These questions led Coretta Scott King Award winner Nikki Grimes to create Chasing Freedom, an engaging work of historical fiction about two of the nineteenth century's most powerful and inspiring women. Chris Richards has always looked up to Jax, his older brother and his parents' "golden child." Lately, though, Jax has been full of surprises. It turns out that Jax bet on the game, hoping to earn enough money to repay a debt to someone who doesn't forgive easily. Chris Richards has always looked up to Jax, his older brother and his parents' "golden child." While Chris tries to walk a thin tightrope between helping his brother and staying out of trouble, his friend Theo does some behind-the-scenes detective work to learn what Jax has been up to. The day Chris is roped into a police investigation is the day he realizes he made the wrong play. Reesie Boone just knows that thirteen is going to be her best year yet-this will be the year she makes her very first fashion design on her Ma Maw's sewing machine. She'll skip down the streets of New Orleans with her best friends, Ayanna and Orlando, and everyone will look at her in admiration. But on Reesie's birthday, everything changes. Hurricane Katrina hits her city. Stranded at home alone, Reesie takes refuge with her elderly neighbor, Miss Martine. The waters rise. They escape in a boat. And soon Reesie is reunited with her family. But her journey back home has only begun. The night her parents disappear, twelve-year-old Robyn Loxley must learn to fend for herself. Her home, Nott City, has been taken over by a harsh governor, Ignomus Crown. After fleeing for her life, Robyn has no choice but to join a band of strangers-misfit kids, each with their own special talent for mischief. Setting out to right the wrongs of Crown's merciless government, they take their outlaw status in stride. Kicking off a new series with an unforgettable heroine, readers will be treated to feats of courage and daring deeds as Robyn and her band find their way in this cruel, new world. Twelve-year-old Hoodoo Hatcher was born into a family with a rich tradition of practicing folk magic: hoodoo, as most people call it. But even though his name is Hoodoo, he can't seem to cast a simple spell. When a mysterious man called the Stranger comes to town, Hoodoo starts dreaming of the dead rising from their graves. Even worse, he soon learns the Stranger is looking for a boy. Not just any boy. A boy named Hoodoo. Set amid the swamps, red soil, and sweltering heat of small town Alabama in the 1930s, Hoodoo is infused with a big dose of creepiness leavened with gentle humor. Brianna Justice is determined to raise enough money for the big class trip to Washington, D.C., but she's up against a lot: classmates who all pretend to be something they're not, a new nemesis determined to run her out of office, and the sinking feeling she's about to lose her two best friends. But just when she begins to lose hope, she comes to realize that sometimes surprises can turn out even better than the best-laid plans. Stefan Drosselmeyer is a reluctant apprentice to his toymaker father until the day his world is turned upside down. His father is kidnapped and Stefan is enlisted by his mysterious cousin, Christian Drosselmeyer, to find a mythical nut to save a princess who has been turned into a wooden doll. Embarking on a wild adventure through Germany, Stefan must save Boldavia’s princess and his own father from the fanatical Mouse Queen and her seven-headed Mouse Prince, both of whom have sworn to destroy the Drosselmeyer family. Corinne La Mer isn’t afraid of anything. Not scorpions, not the boys who tease her, and certainly not jumbies. She knows that jumbies aren’t real; they’re just creatures parents make up to frighten their children. But on All Hallows’ Eve, Corinne chases an agouti all the way into the forbidden woods. Those shining yellow eyes that follow her to the edge of the trees, they couldn’t belong to a jumbie. Or could they? In this third book of the Kulipari series, the future of the Amphibilands has never looked so bleak. With Lord Marmoo stronger than ever and still maniacally bent on taking over the outback, Darel can’t fathom why the Rainbow Serpent wants him to lower the Veil, the Amphibilands’ only source of protection. But the Serpent’s message is clear, and in preparation for the inevitable battle, Darel and the Kulipari go out in search of someone—anyone—to fight on their side. The Kulipari trilogy comes to its thrilling conclusion in this action-packed adventure by NFL veteran Trevor Pryce and acclaimed comics artist Sanford Greene. In a one-of-a-kind brilliantly illustrated children's book that's based on a true story, veteran television journalist Cheryl Wills tells a powerful tale about her enslaved ancestor who fought for his freedom as a soldier during The Civil War. Overflowing with lessons of perseverance and the power of one's imagination. Narrating in a voice full of admiration and respect, Sally Derby introduces Paul Laurence Dunbar’s life and poetry to readers young and old, aided by Sean Qualls’s striking black-and-white illustrations. Capital Days introduces young readers to Washington, D.C., during the early to mid-19th century. Spanning more than 60 years, the story of Michael Shiner (c. 1804–1880) highlights a period of immense change in our country and its capital. Covering the burning of the city during the War of 1812, the rebuilding of the Capitol and White House, the raising of the Washington Monument, and on through the Civil War, the end of slavery, and numerous other “capital days,” this book offers readers fresh insights and background on how our nation’s capital came to be. The book includes excerpts from Shiner’s diary, other primary sources, archival images, and a timeline. Much as she did in Maritcha and Searching for Sarah Rector, award-winning author Tonya Bolden expertly examines the intricacies of American history through the lens of one relatable person’s life. Five friends are in a race against time in this action-adventure story involving ancient tribal artifacts that hold the fate of the universe in the balance. None of these trailblazers imagined their ordinary parents as scientists on a secret mission. But when their parents go missing, they are forced into unfathomable circumstances and learn of a history that is best left unknown, for they are catalysts in an ancient score that must be settled. As the chaos unfolds, opportunities arise that involve cracking codes and anticipating their next moves. This book unfolds sturdy, accurate scientific facts and history knowledge where readers will surely become participants. A freak accident gives five middle school kids (from very diverse backgrounds) super powers. But instead of being able to transform into cool super-beings, they are forced to take on the characteristics of the kids they pick on. Now they're the ones who are being teased, and by the same kids who they are trying to help! Sure their abilities may be at an all-time high, but do they really have what it takes to save their school when their self-esteem is at an all-time low? The only thing they know for sure is they're about to learn one "powerful" lesson in compassion! Just when seventeen-year-old Matt thinks he can’t handle one more piece of terrible news, he meets a girl who’s dealt with a lot more—and who just might be able to clue him in on how to rise up when life keeps knocking him down—in this “vivid, satisfying, and ultimately upbeat tale of grief, redemption, and grace” (Kirkus Reviews) from the Coretta Scott King – John Steptoe Award–winning author of When I Was the Greatest. Co-written by Malcolm X’s daughter, this riveting and revealing novel follows the formative years of the man whose words and actions shook the world. Newbery Honor winner and New York Times bestselling author Rita Williams-Garcia tells the story of the Gaither sisters, who are about to learn what it's like to be fish out of water as they travel from the streets of Brooklyn to the rural South for the summer of a lifetime. Powerful and humorous, this companion to the award-winning One Crazy Summer and P.S. Be Eleven will be enjoyed by fans of the first two books as well as by readers meeting these memorable sisters for the first time. The one secret she cares about keeping—her identity—is about to be exposed. Unless Lauren "Panda" Daniels—an anonymous photoblogger who specializes in busting classmates and teachers in compromising positions—plays along with her blackmailer's little game of dare. But when the game turns deadly, Panda doesn't know what to do. And she may need to step out of the shadows to save herself . . . and everyone else on the Admirer's hit list. Haunted is a good word for fifteen-year-old Miles Tate. Miles can see the future, after all. And he knows his vision of tragic violence at his school will come true, because his visions always do. That's what he tells the new girl in town. The one who listens to him. The one who recognizes the darkness in his past. But can Miles stop the violence? Or has the future already been written? Maybe tragedy is his destiny. Maybe it's all of theirs. The Romeo and Juliet of the streets are back in Ride Wit' Me part 2. Mercedes and Dalvin are fighting to keep their love intact and make it down the aisle. Will the two lovebirds be able to overcome their obstacles and finally become husband and wife? Find out in this next installment. 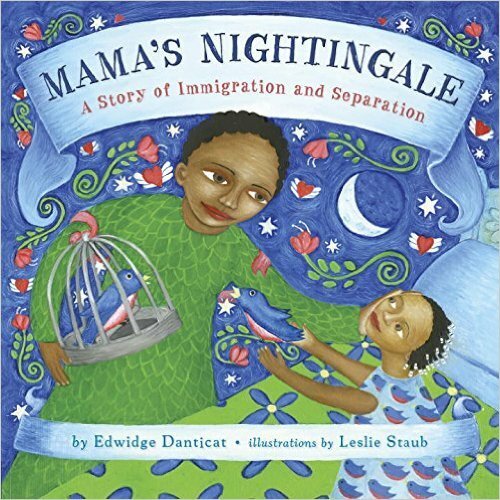 Untwine is a haunting and mesmerizing story about sisterhood, family, love, and loss by literary luminary Edwidge Danticat. In this spellbinding tale, lyrical and filled with love, mystery, humor, and heartbreak. Award-winning Danticat brings her extraordinary talent to this graceful and unflinching examination of the bonds of friendship, romance, family, the horrors of loss, and the strength we must discover in ourselves when all seems hopeless. 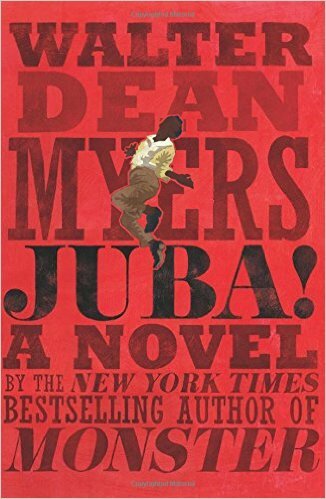 In New York Times bestselling author Walter Dean Myers's last novel, he delivers a gripping story based on the life of a real dancer known as Master Juba, who lived in the nineteenth century. 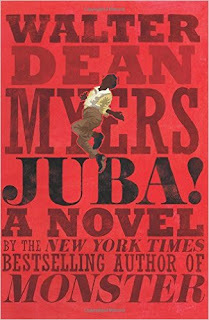 This historical novel includes photographs, maps, and other images from Juba's time and an afterword from Walter Dean Myers's wife about the writing process of Juba! Monster: A Graphic Novel, written Walter Dean Myers, adapted by Guy A. Sims and illustrated by Dawud Anyabwile, published by Amistad, PB, ages 12 and upA stunning black-and-white graphic novel adaptation of Walter Dean Myers's Michael L. Printz Award winner and New York Times bestseller Monster, adapted by Guy Sims and illustrated by Dawud Anyabwile. Fans of Monster and of the work of Walter Dean Myers—and even kids who think they don't like to read—will devour this graphic adaptation. Alex is biracial and adopted, and she is a stellar baseball player just like her father. She begins to question who she really is. She's always dreamed of playing pro baseball just like her father, but can she really do it? Does she truly fit in with her white family? Who were her biological parents? What does it mean to be black? If she's going to find answers, Alex has to come to terms with her adoption, her race, and the dreams she thought would always guide her. is a story about reclamation. It’s about taking a stand for what matters most, and the discovery that, in the end, hope, love, and courage are our most powerful weapons. With Reynolds writing Rashad’s first-person narrative and Kiely Quinn’s, this hard-edged, ripped-from-the-headlines book is more than a problem novel; it’s a carefully plotted, psychologically acute, character-driven work of fiction that dramatizes an all-too-frequent occurrence. 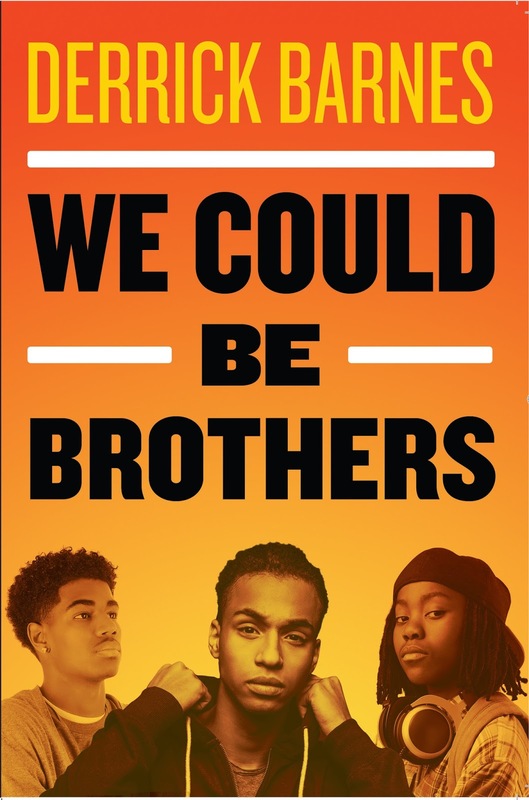 Police brutality and race relations in America are issues that demand debate and discussion, which his superb book powerfully enables.” - Booklist, starred review. In this New York Times bestselling sequel to Dorothy Must Die, who is good—and who is actually wicked? The Wicked Will Rise is perfect for fans of richly reimagined fairy tales and classic tales like Marissa Meyer’s Lunar Chronicles and Gregory Maguire’s Wicked. Xavier Hunter hoped his senior year would be bad news-free. His old enemy is finally in lockdown and Xavier is out from under one mad-crazy relationship disaster. And he's cool with his dream girl, Samantha Fox, dating other guys because fair is fair--he hasn't been a saint. But he's not hearing anything good about her new man, Sean. And showing Samantha the truth could be the one game Xavier can't win. Gigi, Bette, and June, three top students at an exclusive Manhattan ballet school, have seen their fair share of drama. Free-spirited new girl Gigi just wants to dance—but the very act might kill her. Privileged New Yorker Bette's desire to escape the shadow of her ballet-star sister brings out a dangerous edge in her. And perfectionist June needs to land a lead role this year or her controlling mother will put an end to her dancing dreams forever. The descriptions of the titles on this list were mostly drawn from publishers’ promotional copy, and, in a few cases, excerpted from reviews. 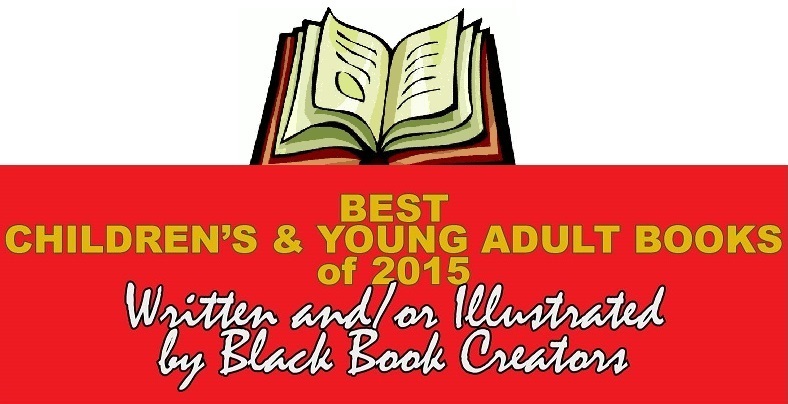 Our goal was to ensure that this list is as inclusive as possible, showcasing the wide variety of books written and or illustrated by Black book creators during 2015. This list is not intended to be an endorsement of all the titles included.